OUR NEWEST PRETZELS INCLUDED! 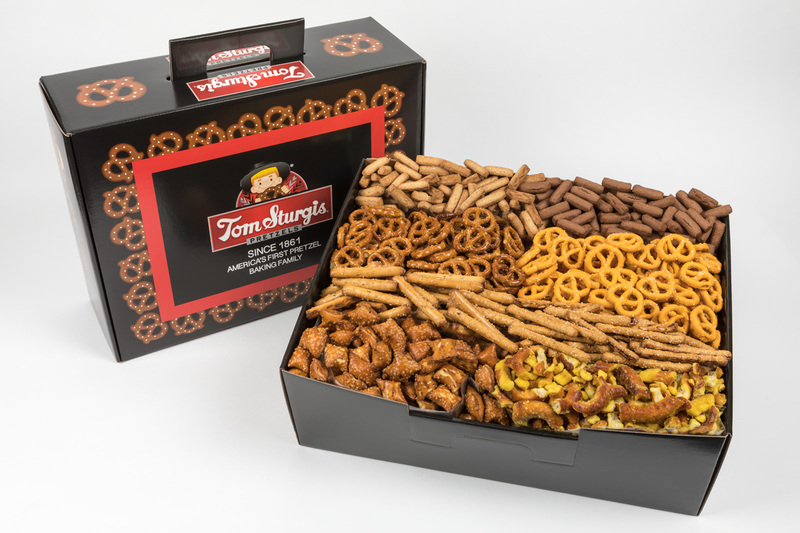 Filled with our premium baked-in flavored pretzels and specially coated pretzels, this tote contains two bags of Cinnamon Sugar Stiks, Hot Cheesers and Jalapeno Minis and a bag each of Honey Mustard and Onion Pretzel Bits, Peanut Butter Filled Pretzels, Chocolate Cookie Stiks and Honey Graham Cookie Stiks. Net Wt. 4 lbs. 15 oz.